The Power of Now established Eckhart Tolle as one of the leading spiritual teachers writing today. Now, his long-awaited follow-up–and first full-length book in nearly eight years–brings his inspiring and profound message to a whole new audience. 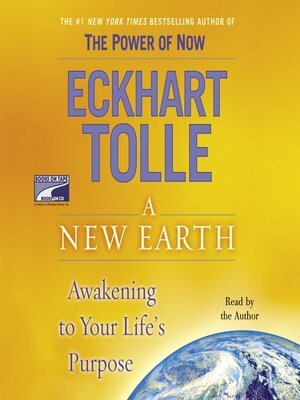 Building on the astonishing success of The Power of Now, Eckhart Tolle takes us beyond our own lives to show that we now have an opportunity to birth a new, more loving world. This involves a radical inner leap of consciousness from the current identification with our ego to an entirely new way of thinking about who we are. For this to happen, the very structures of the human mind would need to undergo an evolutionary transformation. In A NEW EARTH, Tolle shows how this transformation can occur not only in ourselves, but in the world around us. In illuminating the nature of this shift in consciousness, Tolle describes in detail how our current ego-based state of consciousness operates. He then gently and in very practical terms leads us into this new consciousness. We will come to experience who we truly are, which is infinitely greater than anything we currently think we are.